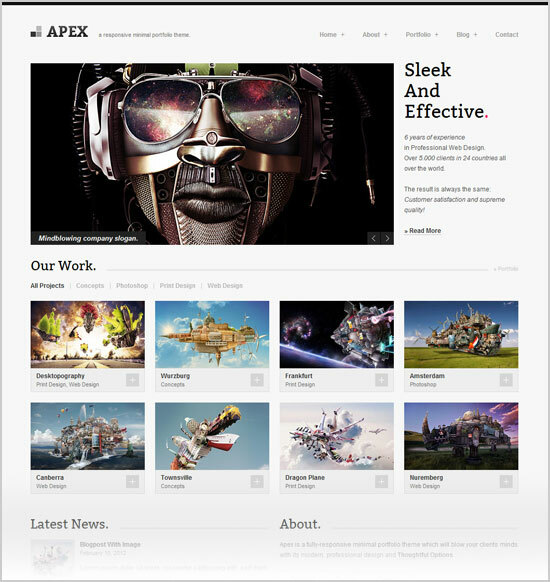 In order to expand our business we go to every extent to make it possible and probable. 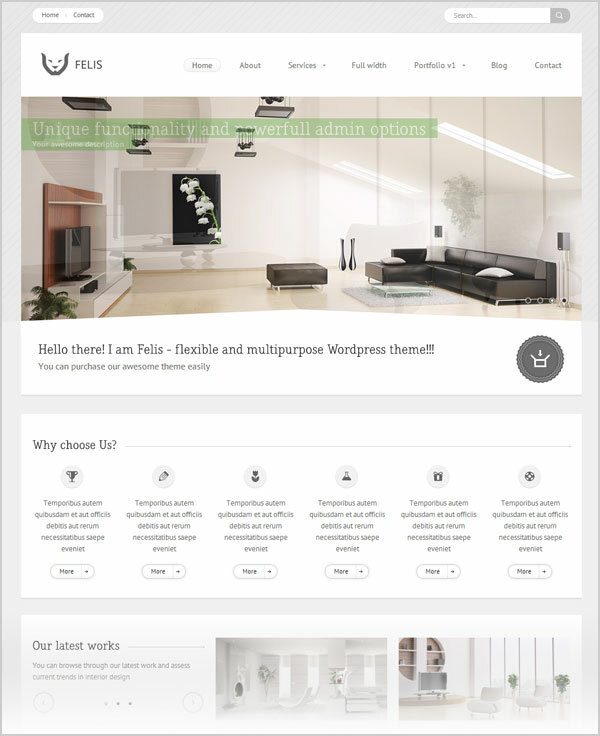 Online platform requires compact and composed business WordPress themes that can accelerate and elaborate our business. 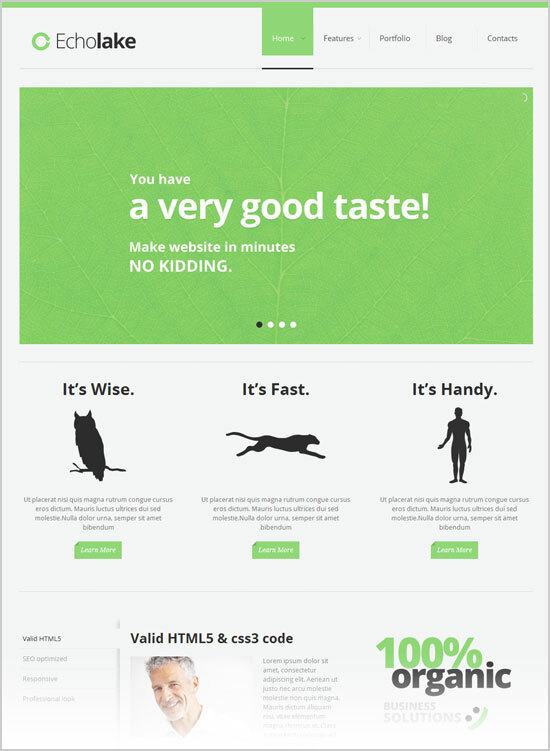 It is one of the best ways to enrich ones online business in a much effective way. 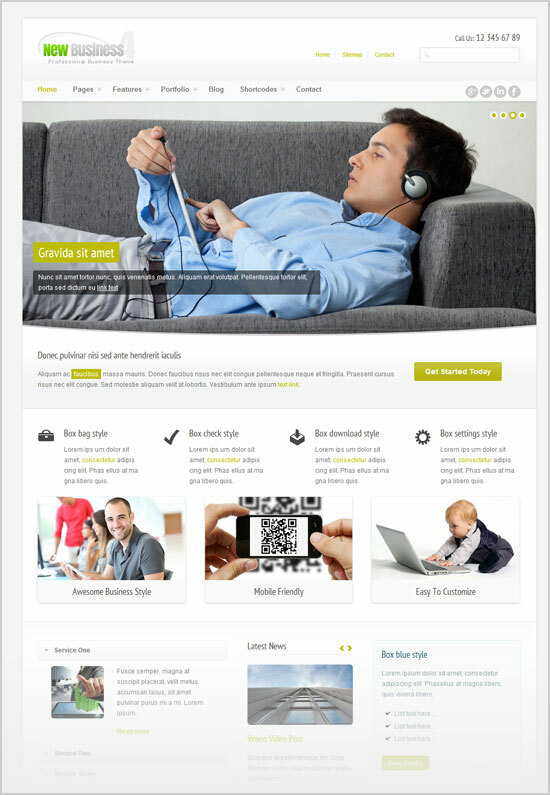 The medium of online business is very much vital. 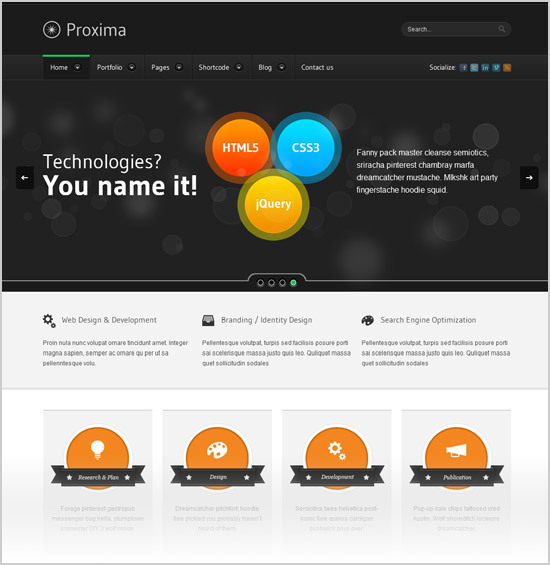 The more you’re inside the ground of your business the more you ought to be highlighted on the web as well. The depiction of your business portfolios can opt for a dense and professional outlook which can give a profound outline to your respective business. 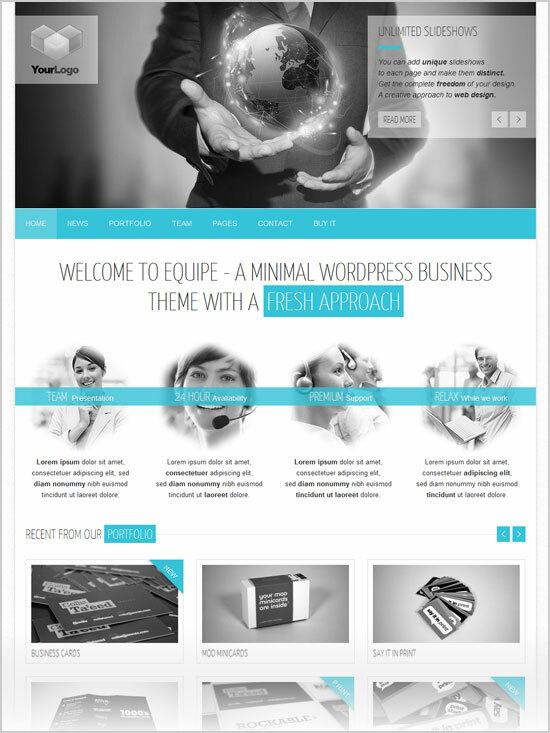 Today I am unfolding 20 corporate professional Business WordPress Premium themes 2012 edition. 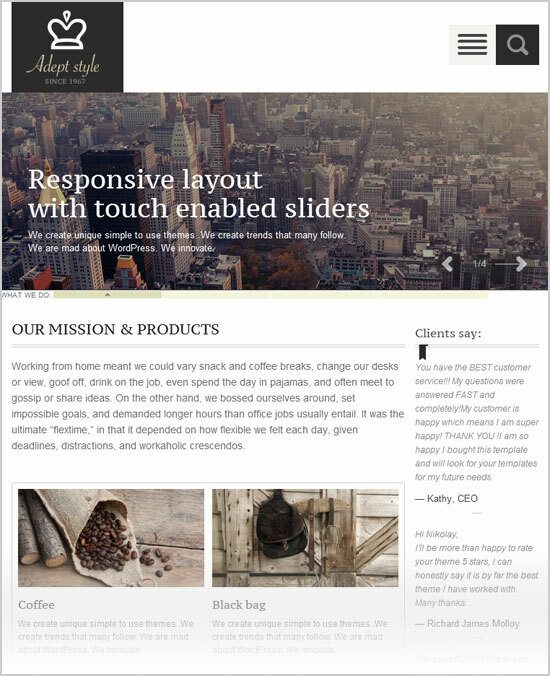 Scroll down to pick out a Business WordPress theme– an apt match for your online business portfolio. 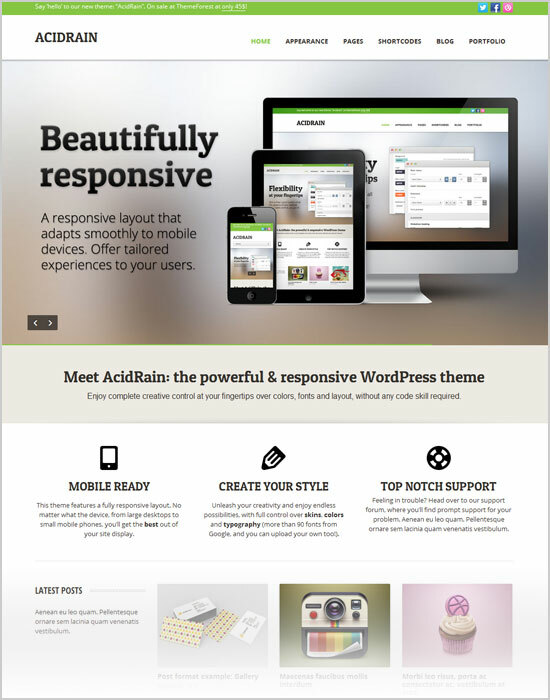 Evolution is available in responsive layout. It has come with 4 different layouts. Perfect for any corporate business. 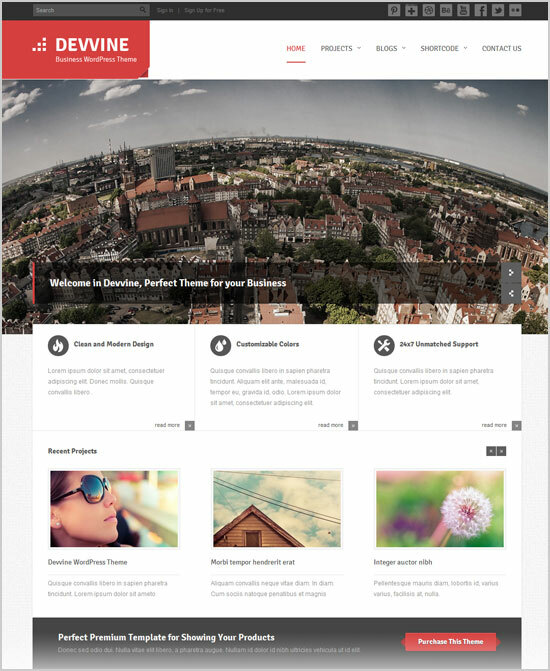 Responsive Layout theme with modern design & new professional thoughtful theme options to blow your clients mind. 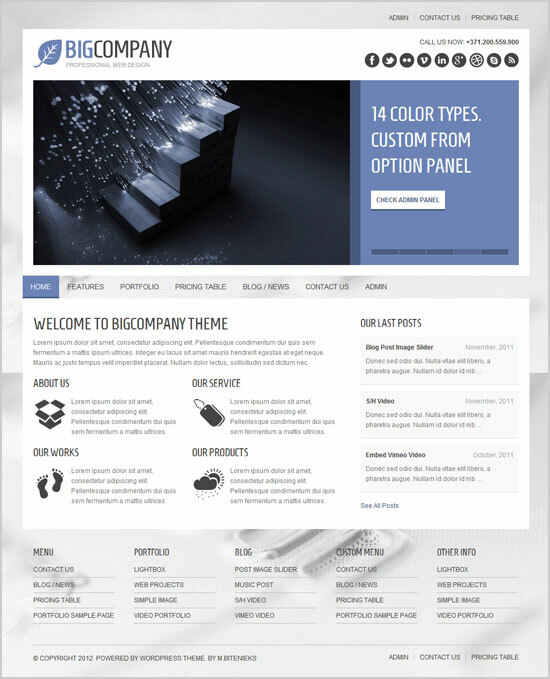 Big Company WordPress Theme is perfect for business & portfolio websites with 15 color types and many custom premium options. 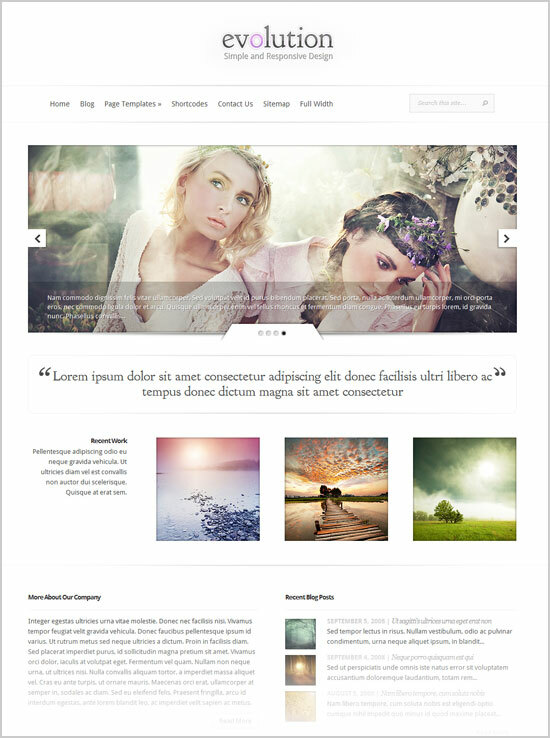 Felis is a clean & fresh theme for fashion, interior design & product design websites. 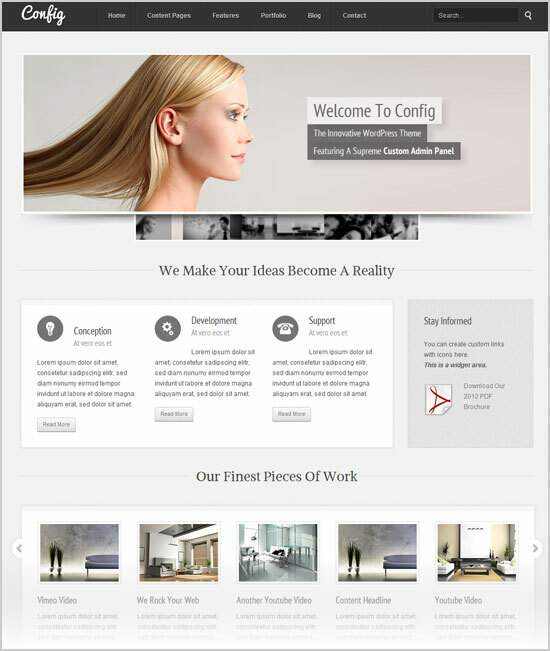 Config is a themepunch’s debut theme with so many options that fits for various types for corporate businesses. 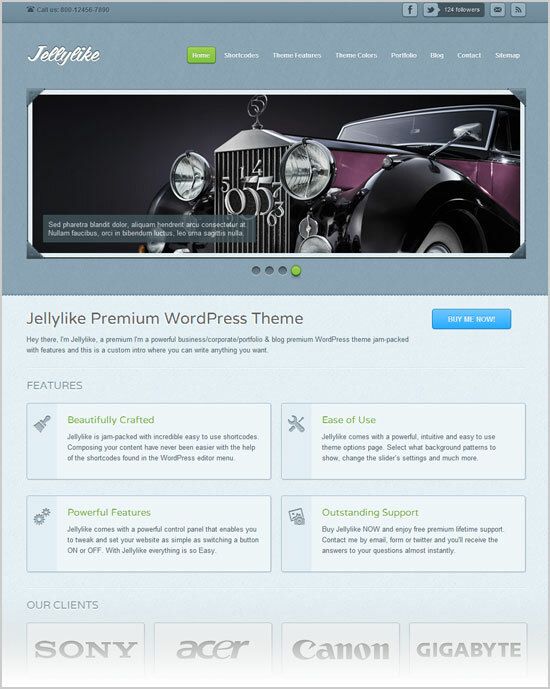 Jelly like is a beautiful premium business wordpress theme shipped with a attractive colors combinations and many other fancy options perfect for any niche business. 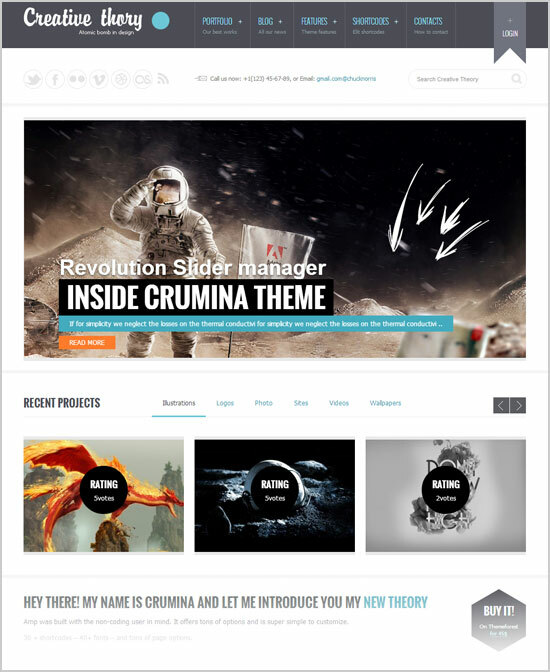 Creative theory is a professional wordpress theme with easy admin customization, fully responsive layout, section manager, content builder with numorous colors, translations ready, builtin more than 200+ google fonts and much more fancy options. 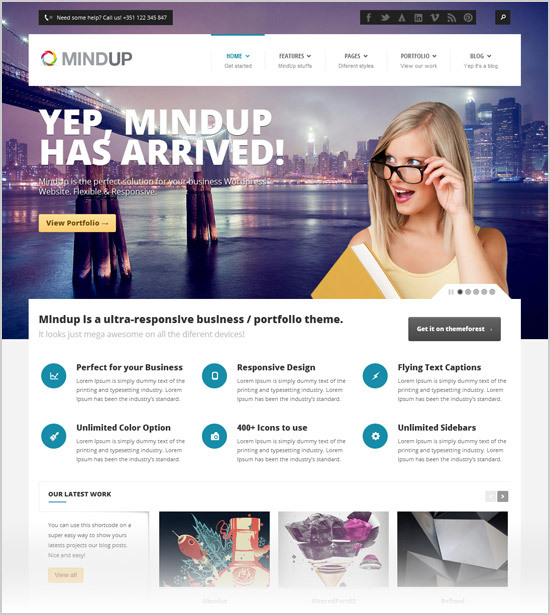 Mindup is quite flexible and upto date with full width slider and flying captions, limitless sidebar and colors, visual shortcodes, free icon set includes 400 icons and much more. Some of them should be free ….